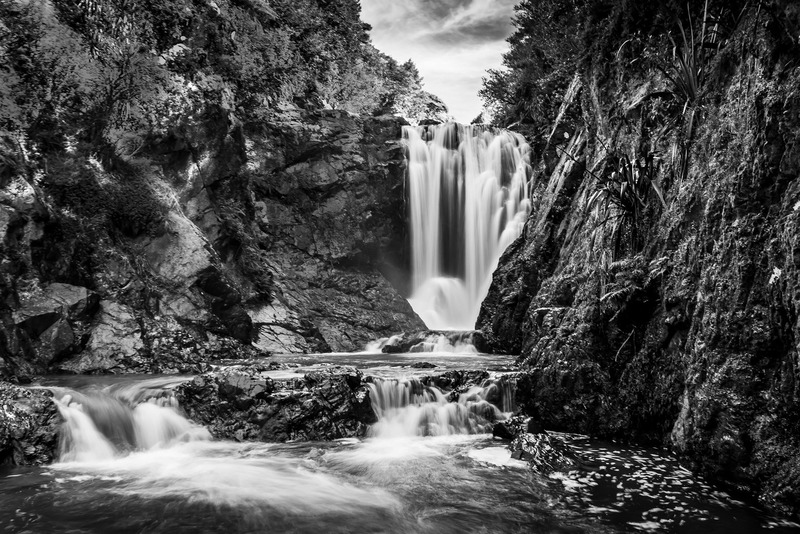 Learn how to capture the wonder of water using diverse photography techniques. Welcome to Issue 13 – WATER! 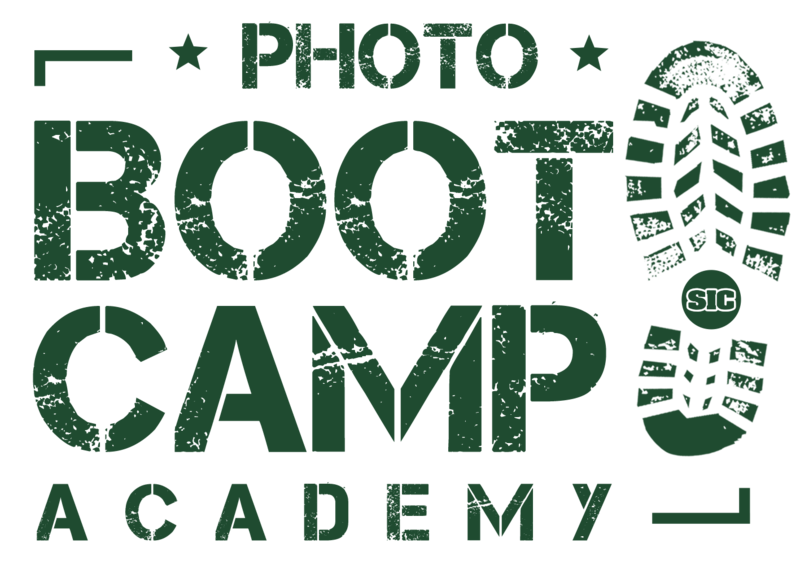 And the official kickoff to Season 2 of Photo BootCamp Academy! I’m so happy you’re here. We’ve learned a lot in the last 12 issues and we’re just going to keep building from there. Browse through the previous issues and see what new things you can learn from those! Our community is so supportive and encouraging and it shows. I’m really proud of these guys! 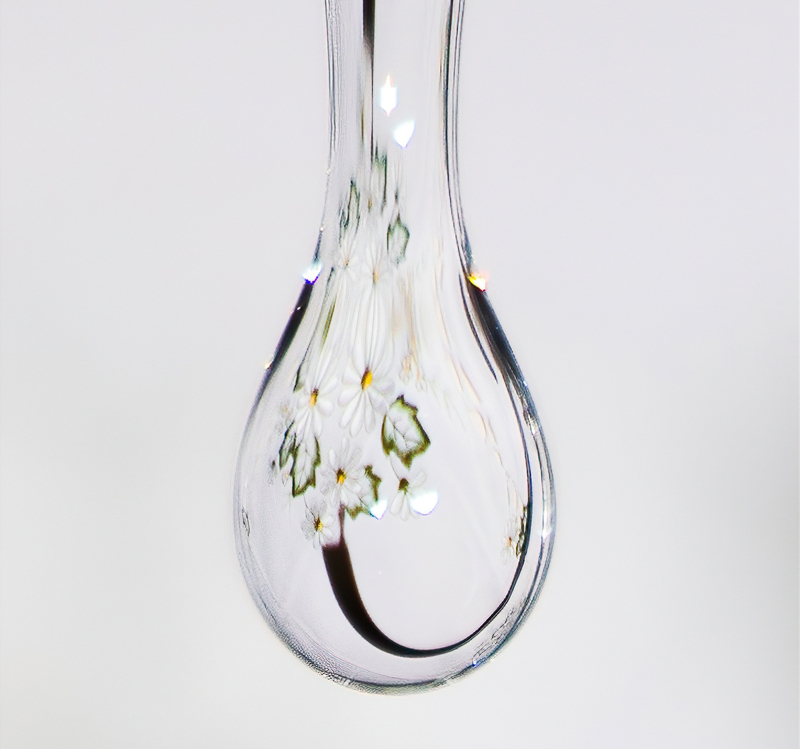 This month is all about one of my favorite subjects – WATER! Water is a huge part of my life and I’m really thrilled to share this with you this month. Water is a vast subject. It is literally everywhere, from the cells of our bodies, to the oceans, to falling from the sky. It’s pretty much accessible everywhere we go. Which, as photographers, means many opportunities to have fun with it! Water and landscapes – enough said! This is just a short list of different ideas for water. There are sooo many other ways to play with it. First thing you want to do is spend some time getting inspired and letting your creativity percolate. 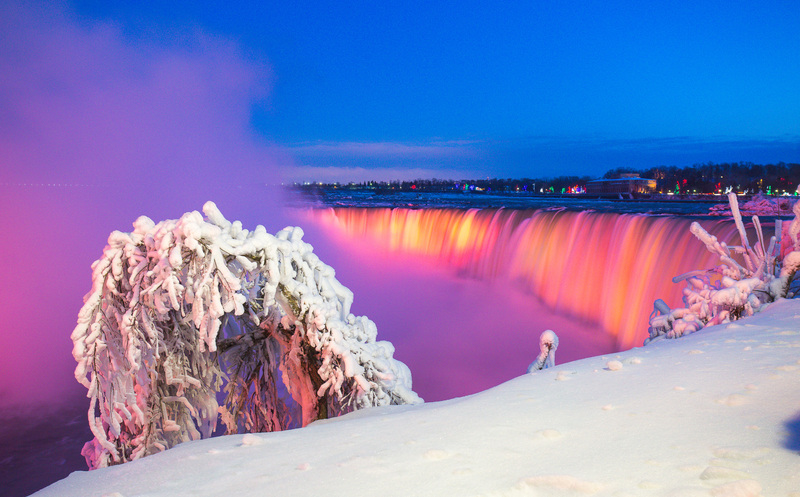 Find some water photos that you’d like to learn how to take. A great resource for this is Pinterest! Simply type in the type of photography you want to see and prepare for inspiration station! You will see more stunning images than you dreamed possible. You can do the same with a Google image search as well. Pick one or two and go about creating your own version of it. Challenge yourself. Pick something you’ve never done before and stretch to make it happen. Remember, this is how we all learn! Consider what you’ll need to shoot your own version of it. Do some research if needed. Make it a fun project. Simplify the scene. Remember, less is more! Play with settings! 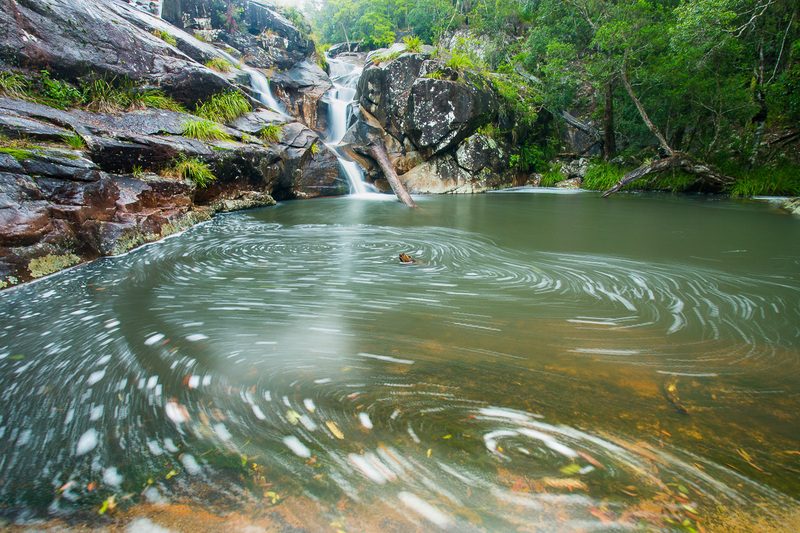 Shutter speed is one of the most fun things to play with when photographing water. The shutter speed you use will either freeze movement or create the illusion of more. You know that smooth, silky look you see in so many water landscapes? Slooooooow shutter speeds! Try different speeds and see what happens. On the following pages, see what our BootCamp members have created with water in their worlds! And be sure to check out how you can join BootCamp at the end of the magazine! (Larger file for desktop or iPad). Alternatively if you have a slower connection you can view this magazine Here on ISSUU. Join The Fastest, ‘Funnest’ Way To Improve Your Photography! 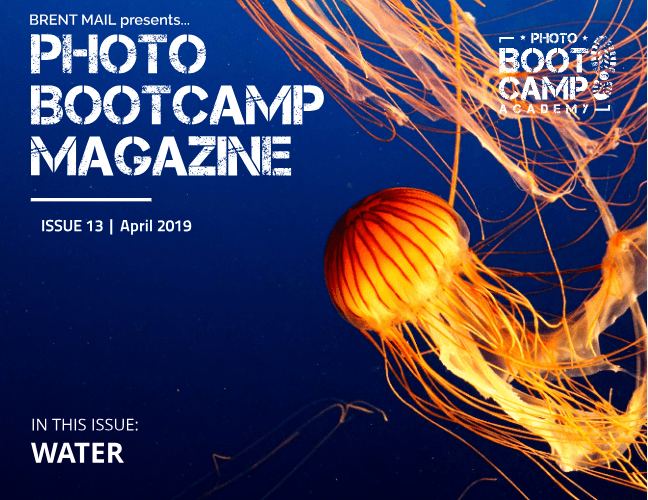 Photo BootCamp Academy is an online community where busy photographers gather to take their photography to new levels of enjoyment and progress. We’re now on our 2nd Season! It’s been a wonderful experience seeing great and amazing images from our members. Now let’s take a look at this month’s magazine. Here’s our featured artist of the month, Sheree Ebanks, from Cayman Islands. 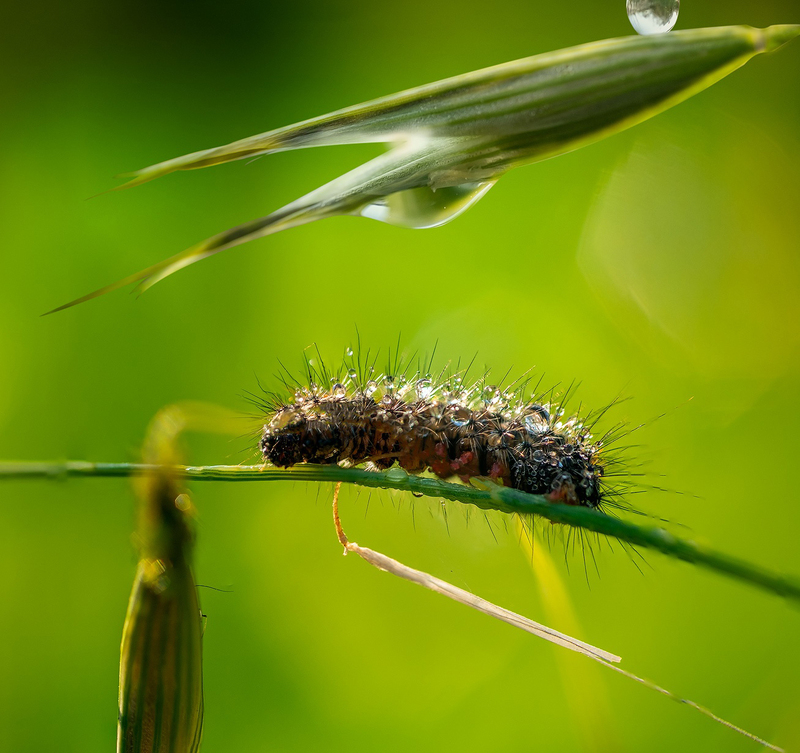 For her featured image, she was experimenting with water drops again. This time she got the flash and as holding a zip-lock with red water over a number of different bowl. This was about the fourth try, with a clear bowl in a white one, and she also colored the water in the bowl green, and dropped the red water from a zip lock. She learned how to remote the flash, got a wireless remote for the camera. Sheree did lots of experimenting and learning. This was over five hours and about 800+ photos with five different set ups! This month’s featured magazine cover image is from Juan Acosta from the USA. 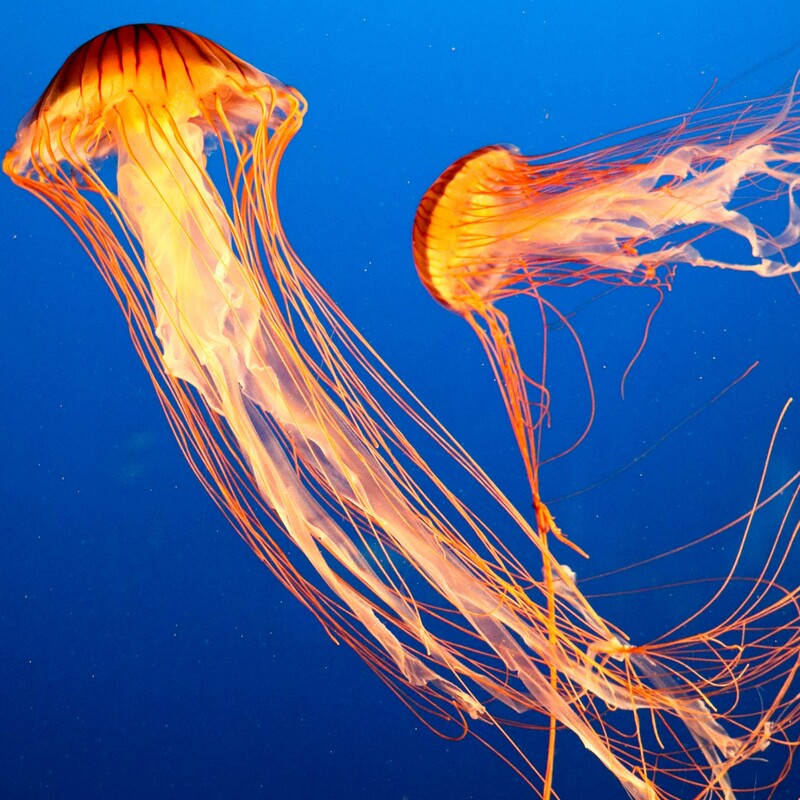 This is an image of some jellyfish. He shot this picture while he was at the Vancouver, Canada Aquarium. Do you want to be inspired more by these watery images? Let’s have a look at some wonderful images from our active members. We have one from Derryl Friesen from Thailand. 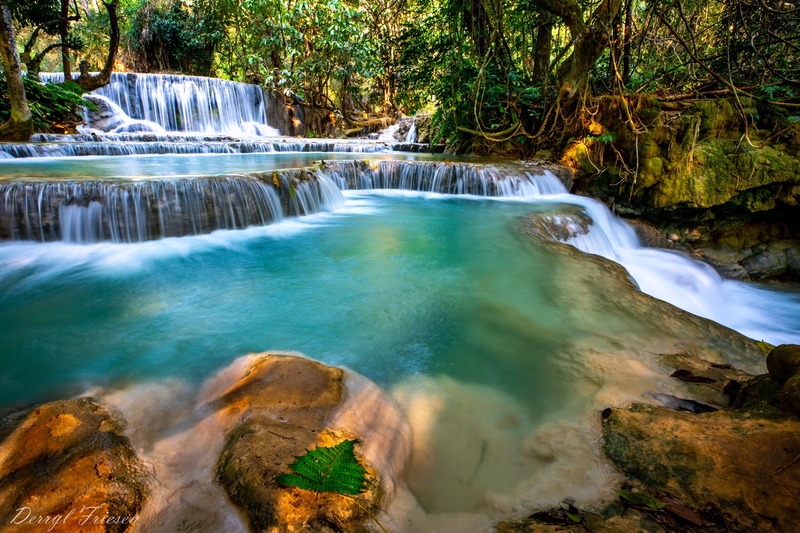 Surrounded by lush tropical forest, Kuang Si (Xi) falls cascade down through three tiers of limestone in the early morning light, into spectacular azure pools near Luang Prabang, Laos. This photo is in memory of his beloved dad, Big Ben. Then we have Erez Shilat from Israel. This is Water in macro. Erez said that this photo was taken on a Friday not far from his home. Next we have one from Marion Robinson. He is from New Zealand. This is an image of a “Water Fall”. It’s only about 15K’s from where he had driven and passed the sign post many times and thought it would be insignificant but he decided that it might be worth a visit. You never know what can almost be in your backyard. Half the waterfall was in the shadow and the other side a bright light. It looked better converted to black and white. And we have from Romy Villanueva. He is from the Philippines. He was attempting a 3-droplets collision. 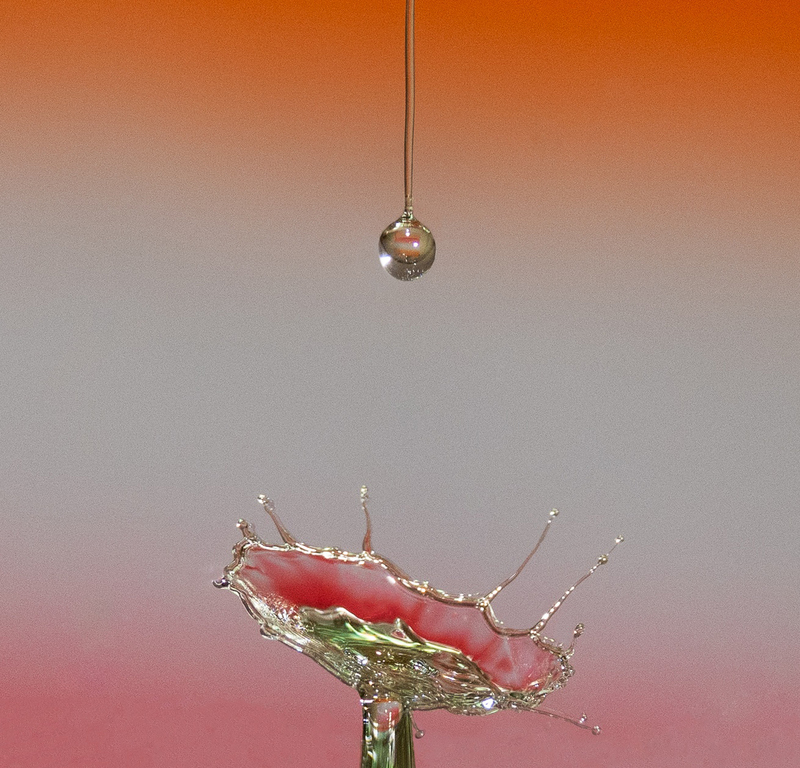 This photo shows the third droplet still in the air so technically it is still a two drop collision but Romy got an entirely different image. The background colors reflected on the water collision and the lights on the ceiling and the flash gave the silvery luster. Next on the list is from Tessa Blewchamp from the United Kingdom. This was a shot from her afternoon with the dripping tap. Tessa looked at Pinterest for some ideas as Brent suggested and tried to capture refractions from a patterned tablecloth in the drops. She was aiming at catching this as a series of drops, but the best image was this one just before the drop fell. Taken with on-camera flash with camera on tripod and zoomed in from a distance then cropped a lot. She also used Topaz Sharpen AI, which she just got, to finish off the sharpening. That’s it! 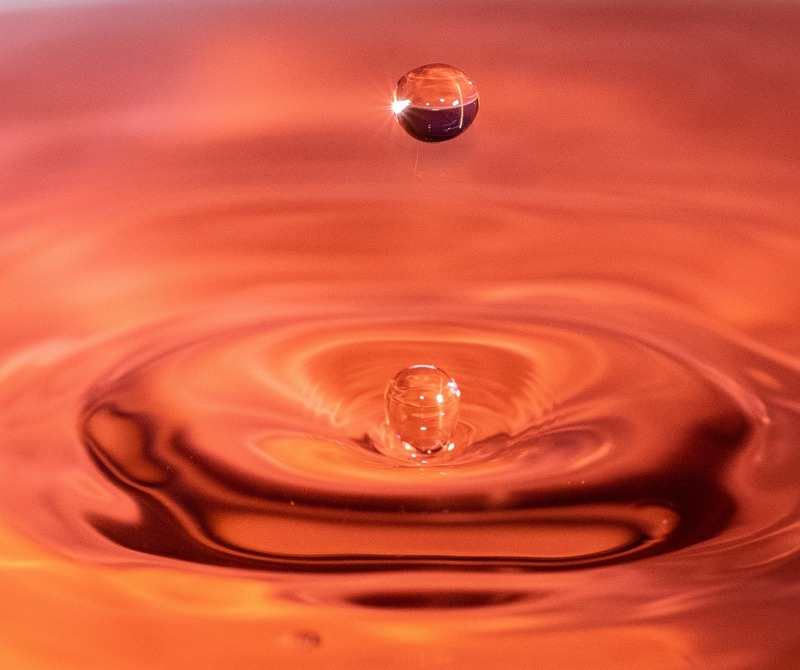 These awesome images just proves to us that even with water we can still create stunning images. All we just need to do is go out there and shoot. Do you want to be a part of this super exciting community? Why not check out the complete BootCamp Magazine and see for yourself! Water is an almost limitless subject. From micro, to macro, to wide landscapes, to studio, and more. Your creativity is the limit here! Take time to find photos that are inspiring to you and invest in learning how to take your own version of that photo! This is how we all grow as photographers. Take action! DOING is how we learn. As we learn, we grow. Shoot something new and outside of your comfort zone. And most of all, approach your photography with a childlike curiosity! PLAY! Experiment. Mess up. Learn what doesn’t work so that you learn what DOES work. Leading Viewers On A Journey Through An Image! A creative way to use leading lines to make your images more exciting and meaningful. Using patterns to draw your viewer’s attention to you artistic images. Dive into BootCamp and come join the fun – Click Here to join BootCamp today! Share your thoughts with me in the comments section below. I love hearing what you guys come up with!